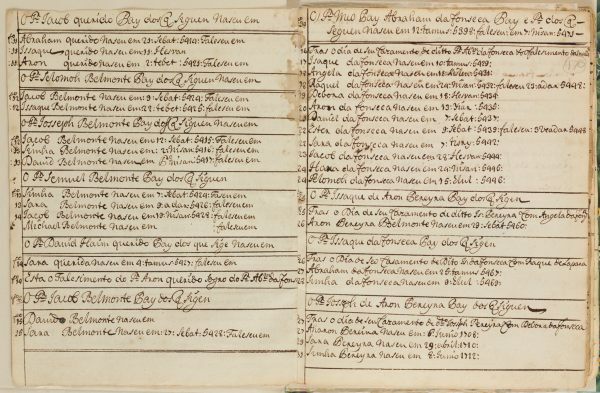 Genealogical work on the Belmonte and Da Fonseca families from 1599 until 1728 by Jacob Belmonte and Abraham and Jacob da Fonseca, 18th century. Portuguese / Paper / 20,7 x 15,6 cm. /  + 40 ff. / Variety of lines to a page / Current writing of the 18th century / On f. 1r-5v chronological list of members of the Belmonte family, with fold-out pedigree in the middle / Title on f. 6r.